Typically, when you are charged with DUI in California, your driver’s license will be suspended. How long your license will remain suspended depends on the details of your DUI case. Usually, the determining factor is whether you refused to take a chemical test, or you submitted to a chemical test and you failed. However, if you were under 21 when the test was conducted, and the results show a 0.01 percent or higher BAC level, your driver’s license is suspended for one year. 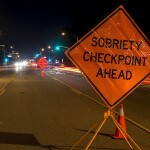 In California, you are required to submit to a chemical test if a law enforcement officer asks you to and believes you are driving under the influence. Choose the blood test; an experienced DUI defense attorney can challenge the results later. A good DUI defense lawyer may also challenge your driver’s license suspension and can provide the legal advice and representation you will need. If you’re charged with DUI in southern California – now or in the future – speak at once with an experienced Orange County DUI defense attorney.